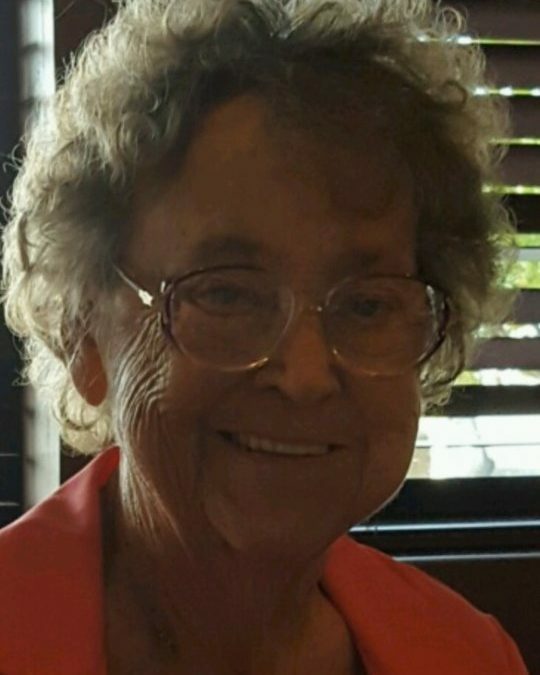 Betty L. Hall, age 81, of Somerset, passed from this life unexpectedly on Thursday, February 15, 2018 at the Lake Cumberland Regional Hospital surrounded by her loving family. She was born in Pikeville, Kentucky on August 6, 1936, daughter of the late Rebecca Dye. Betty was a Retired Laborer with the Ford Motor Company’s Engine Plant in Brookpark, Ohio after a number of years of dedicated service. She was married on June 2, 1958 in Pikeville, Kentucky to her husband, Robert “Bob” Hall. They have enjoyed over 59 years of life together. She enjoyed cooking, spending time with her family and friends, as well as shopping, yard sales and singing. Betty was a former Board member of God’s Helping Hands Outreach Ministry and had a genuine passion for helping others. She was a kind and generous person who gave of herself tirelessly. Betty was of the Church of God Faith and member of Harvest Time Church of God of Somerset. Her radiant smile and gallant spirit will leave a void in the lives of those she loved. He leaves behind to cherish her precious memory her devoted Husband; Robert “Bob” Hall of Somerset, a son: Robert (Sherry) Hall, Jr., of Youngstown, Ohio, three daughters; Lisa (Jeffery) Stewart of Virginia, T. G. Comer (Bob Hackworth) and Cheri (Cornell) Coffey all of Somerset, daughter-In-Law; Debbie Hoffner Hall of Somerset, Granchildren; Harold (Dawn) Lavine, Monica (Mike) McCann, Melissa Lavine, Brad (Gracey) Hall, Christopher (Brandy) Hall, Chloe Crabb, Cortney Crabb, Ian Crabb, Cassie (Jr)Bogumil, Brittney (Tyler) Wade, Sammy (Cortney) Turner, Great-grandchildren; Eric Lavine, Stefanie Lavine, Jaxon Lavine, Steve (Dallas) Weese, Hayden Hall, Kyrstin Hall, Logan Whitt, Alex Whitt, Ayden Bogumil, Maddox Bogumil, Brantlee Bogumil, Kaesen Bogumil, Annistyn Wade, and Campbell Wade as well as one great-great-granchild; Benton Lavine, Sisters-In-Law; Mary Susan (Danny) Stephens, Elizabeth (Gary) Deel, Lois Hall and Sue Hall, Ann Allen as well as a host of other relatives and friends. She will be sadly missed by all those who knew and loved her. Visitation will be from 5:00 p.m. until 9:00 p.m. on Monday, February 19, 2018 in the Chapel of Southern Oaks Funeral Home. The Funeral Service will be at 11:00 a.m on Tuesday, February 20, 2018 in the Funeral Home Chapel with Pastor Steve Mullins officiating. Interment will be in the Mill Springs National Cemetery in Nancy, Kentucky. Southern Oaks Funeral Home is entrusted with the arrangements for Mrs. Betty L. Hall.